When will we start seeing new SteamVR headsets? Over the years Valve has been working not only to create top-tier VR solutions like the HTC Vive but also to develop technology that will make high-quality VR affordable, starting with their SteamVR 2.0 tracking technology. Valve has now revealed that they have been working on their own custom lens designs for VR headsets, allowing future SteamVR headset makers to use Valve's own lens designs instead of investing in their own R&D to create a similar solution. These new lenses will support both LCD and OLED displays and fields of view of between 85-120 degrees depending on the displays used, offering manufacturers a lot of versatility. 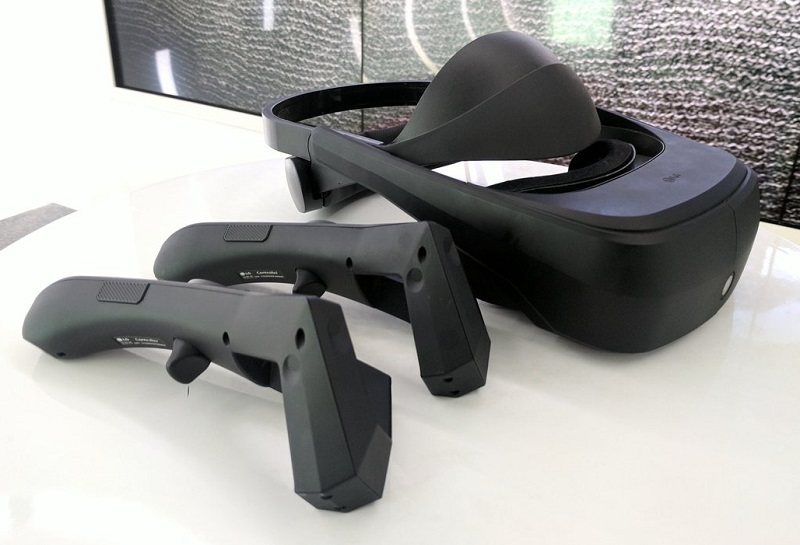 This will allow manufacturers to use more "off the shelf" parts, rather than use custom display solutions for VR, allowing future VR headsets to be cheaper while having no impact on the quality of the headset itself. In addition, Valve has developed custom lenses that work with both LCD and OLED display technologies and is making these lenses available to purchase for use in SteamVR compatible HMDs. These lenses and Valve’s unique calibration and correction software are designed specifically to be paired with several off-the-shelf VR displays to enable the highest quality VR visual experiences. These optical solutions currently support a field of view between 85 and 120 degrees (depending on the display). The lenses, which are designed to support the next generation of room-scale virtual reality, optimize the user’s perceived tracking experience and image sharpness while reducing stray light. Valve is including the custom lens calibration and correction software within the SteamVR technology suite. This announcement also brings Valve more in line with Microsoft, who's soon to be released Windows Mixed Reality Headsets will come with versions with either LCD or OLED displays depending on the user's chosen manufacturer and/or price range. When it comes to VR Microsoft's approach is very different to Valve's, with Microsoft using an inside-out tracking system that requires no external tracking systems to function, while Valve uses their high-end SteamVR tracking technology to provide sub-millimeter accuracy. Valve's approach is more accurate but Microsoft's requires less user setup and is likely cheaper to implement, making both technologies attractive in their own way. Complementing the existing free license for sub-millimeter room-scale tracking and input technology, today’s news marks the addition of other critical pieces for developing state-of-the-art VR hardware: an advanced optical system, manufacturing and calibration tools, and the supporting software stack to unify the hardware into an optimal user experience. Valve's plans are to accelerate the creation of new SteamVR headsets by reducing the upfront cost of creating future headsets, sharing their knowledge, hardware and software stack to encourage the adoption of their technology. You can join the discussion on Valve's new VR lenses on the OC3D Forums.